Over 11 years of online publishing leading business and electronic media on a global scale. We offer valuable online advertising programs. We pride ourselves that our readers are decision-makers, buyers and customers. Our mailing list is continuously up-dated and added. Not only do our publications solve application problems, but our features on new products, our news stories and our reviews of events cover the readers’ needs. Please read some of our readers and advertisers’ comments in our Media Information 2011. Our mission is to help you in your sales and marketing effort. Your advertisements in our media and at Sensors Web Portal will get results. Please see more details in Media Information 2011 and Editorial Calendar 2011. 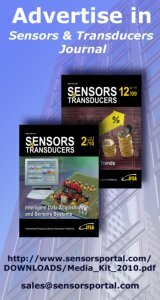 Biomedical Sensors - this authoritative new book, part of Momentum Press' new 'Sensor Technology' series, edited by noted sensors expert, Dr. Joe Watson, will offer a complete review of all sensors and their associated instrumentation systems now commonly used in modern medicine. Sensors and Sensory Systems for an Electronic Nose - recently published by Springer book reviews the current state of progress in the development of an electronic instrument capable of olfaction. Links section with most detailed, monthly up-dated calendar of sensors related events in 2010-2012. Do not miss the next SENSORDEVICES'2011, SENSORCOMM'2011, CENICS'2011, ICONS' 2011, ICNS' 2011 and BIOTECHNO' 2011. Electroceramics for End-users VI is the next scientific event in the series of conferences dedicated to advances in electroactive, particularly piezoceramic, materials and devices. It was established by the POLECER Thematic network and continued by the MIND Network of Excellence, starting in Interlaken, Switzerland, 2002. Piezo 2011 conference is organized in Sestriere (Northern Italy), the location of Turin’s 2006 Winter Olympic Games. Is an activity in the framework of European Cooperation in the field of Scientific & Technical Research (COST). Inorganic nanotubes are an alternative to carbon nanotubes, showing advantages such as easy synthetic access, good uniformity & solubility, & predefined electrical conductivity depending on the composition of the starting material. They are very promising candidates as fillers for polymer composites with enhanced thermal, mechanical, & electrical properties. Target of the 3d COINAPO Meeting: to link together scientists working on this rapidly emerging field to create a basis for a highly interdisciplinary research network focused on development and exploration of inorganic nanotube-polymer composites. 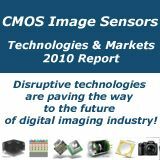 Demand for sensors in the US will rise 6.1 percent per year to $13.1 billion in 2014, a strong recovery from low 2009 levels. A rebound in motor vehicle production will boost demand for automotive original equipment manufacturer (OEM) sensors, while the high penetration levels achieved for products like tire pressure monitoring and occupant positioning sensors will provide some aftermarket opportunities. Sensor demand will further benefit from the improved outlook for both process manufacturing and industrial machinery shipments. 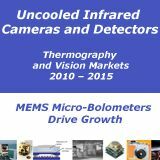 Beyond these macroeconomic factors, improvements in sensor technology, especially in areas such as micro-electro-mechanical systems (MEMS), photoelectronics and optoelectronics, will support gains. These and other trends are presented in Sensors, a new study from The Freedonia Group, Inc., a Cleveland-based industry market research firm. Motor vehicles are generally the largest end use for sensors in the US; however, with the sharp downturn in vehicle production, this market fell behind industrial applications in 2009. Through 2014, demand for motor vehicle sensors in the US will advance 14 percent annually to $3.9 billion in 2014, supported by a rebound in motor vehicle production, coupled with the rising use of newer sensor-laden systems. As a result, motor vehicles will once again become the leading market for sensors well before 2014 and will account for more than half of the overall increase in sensor demand between 2009 and 2014. Because of the sheer size of the recovery in the large motor vehicle market, the other leading markets will all perform at a below average pace. Still several of these markets will post solid gains, including industrial machinery and medical applications, which will both rise more than four percent per year through 2014. Among the various sensor types, proximity and positioning and chemical property sensors will see the most rapid increases. Proximity and positioning sensors will benefit from the rebound in motor vehicle production and industrial machinery shipments. In addition, these products are used in newer automotive applications such as electronic stability control systems and advanced airbags. Demand for chemical property sensors will be supported by technological advances that allow for price reduction, sensor miniaturization and greater precision. Process variable sensors (e.g., pressure, temperature, flow and level) will continue to be the largest product type, although these sensors are expected to grow at below-average rates since they represent some of the more mature products in the sensor industry. El Segundo, Calif., October 1, 2010—In what could become one of the biggest ever deals involving Microelectromechanical Systems (MEMS) sensors, St. Jude Medical Inc. is investing millions of dollars in an implantable device that can monitor patients after heart surgery, potentially revolutionizing cardiac care, according to the market research firm iSuppli Corp. The device, commercialized by Atlanta, Georgia-based CardioMEMS Inc., features an implantable MEMS pressure sensor that monitors the heart for the tell-tale buildup of pressure in pulmonary arteries following cardiac surgery. Including signal processing electronics, a user interface and an antenna, the CardioMEMS system wirelessly communicates with the sensor and reports data telemetrically—remotely—to the physician, who then can adjust treatment as necessary. The entire process can take place without hospitalization, yielding huge cost savings for patients and health providers alike. 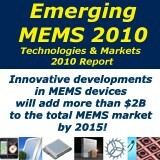 The global market for MEMS used in medical applications is forecasted to reach $430 million by 2014, up from $229 million in 2009, equating to a CAGR of 13 percent, as shown in the attached figure. Given the prominent value of implantable sensors as part of the monitoring system, iSuppli has identified CardioMEMS as one of the startup companies with the highest potential in its recent market study of high-value MEMS, a specific space within the overall MEMS technology market for micromachine sensors and actuators with applications in the industrial, energy, optical telecom and aerospace-defense segments. High-value MEMS is the second-fastest growing MEMS segment, next only to consumer and mobile MEMS, and ahead of automotive MEMS or inkjet MEMS. The CardioMEMS deal represents a coup for St. Jude Medical, the medical device company from Little Canada, Minn., with expertise in cardiac rhythm management such as pacemakers, as well as in heart failure disease management and other cardiac technologies. In September, a $60 million investment in CardioMEMS by St. Jude Medical gave it a 19 percent share of ownership. Moreover, St. Jude has an exclusive option to buy the company for $375 million, contingent on certain milestones being achieved. Other companies besides St. Jude Medical have recognized CardioMEMS’ potential: Medtronic, another major medical device company, is also an investor. In terms of the implantable device itself, the product represents a collaborative effort between two companies. CardioMEMS makes the system—including the electronics reader and output, signal processing electronics and telematics—while contract manufacturer MEMSCAP in France supplies the paper-clip-sized devices, replete with pressure sensor, antenna and packaging. Should St. Jude exercise its option to acquire CardioMEMS, the transaction will be the largest MEMS deal since the $750 million acquisition 10 years ago of Cronos Integrated by JDS Uniphase to boost its fiber-optic business. 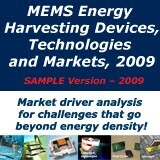 The scope of the CardioMEMS deal underscores the potential for new medical MEMS devices, an emerging market on its own. Aside from CardioMEMS, other companies on the cusp in this area include Swiss startup Debiotech, which recently received U.S. FDA clearance for its disposable MEMS-based insulin pump technology; as well as M.I.T. startup Microchips, which is also developing MEMS-based drug delivery systems. Others to watch include Tronics Medtech, working on miniaturized implantable pressure sensors, ISSYS, and OrthoMEMS for orthopedic applications. The CardioMEMS device, however, is considered particularly promising given its possible use in a number of applications. CardioMEMS already markets its Endosure system for monitoring aneurisms, for example, but the current application in heart failure has a much bigger potential. In the United States alone, for instance, heart-failure patients number about 6 million, and more than 600,000 new cases are diagnosed annually. As with most medical applications in which a long gestation period is needed, it could be years before the CardioMEMS device attains widespread implementation. How quickly the technology can be established in the market will depend on various factors, including the time it takes for the device to receive FDA approval, for insurance companies to make their own assessments on the value of the device and for insurance companies to implement appropriate reimbursement schemes. Nevertheless, the appeal of telemedicine—remote measurement and reporting of information—is undeniable. And the CardioMEMS device, in a paradigm shift for patient treatment, could well represent the first foray of what turns out to be an extremely lucrative venture for high-value MEMS sensor suppliers. Learn more about the MEMS market with the upcoming report from Bouchaud and Dixon, entitled Medical, Industry, Aerospace and Energy: Fertile Ground for MEMS, High Value MEMS H2 2010 Market Tracker.